Koy Pa and Kaeng Pa for lunch in Vientiane, Laos. A relative brought a few fresh caught fishes over and my two aunts decided to make Koy Pa and Kaeng Pa for lunch today. They even made a Jeow (dipping sauce) to go with the Koy Pa. The spicy and sour dipping sauce is really good with just a few drops on the koy pa wrapped in lettuce and herbs. It was a delicious meal for all the relatives to enjoy with plenty of freshly cooked sticky rice served along side the main dishes. 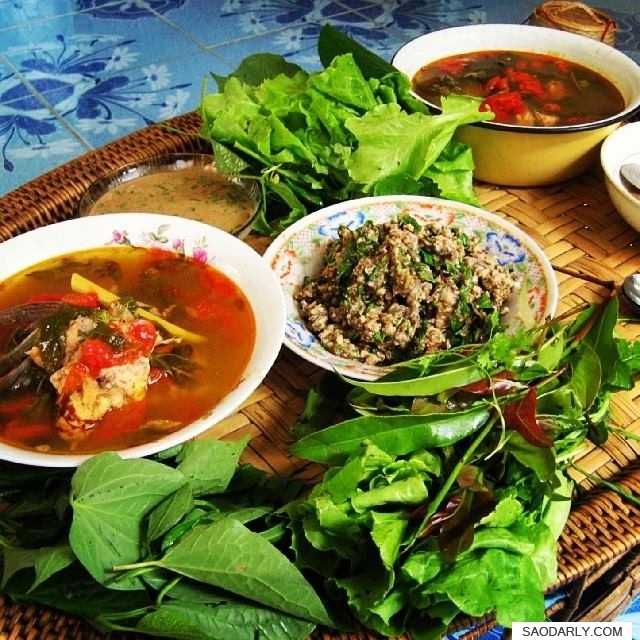 For those that are fond of eating fish dishes, the best time to visit Laos is during the rainy season with plenty of fishes from the Mekong River.